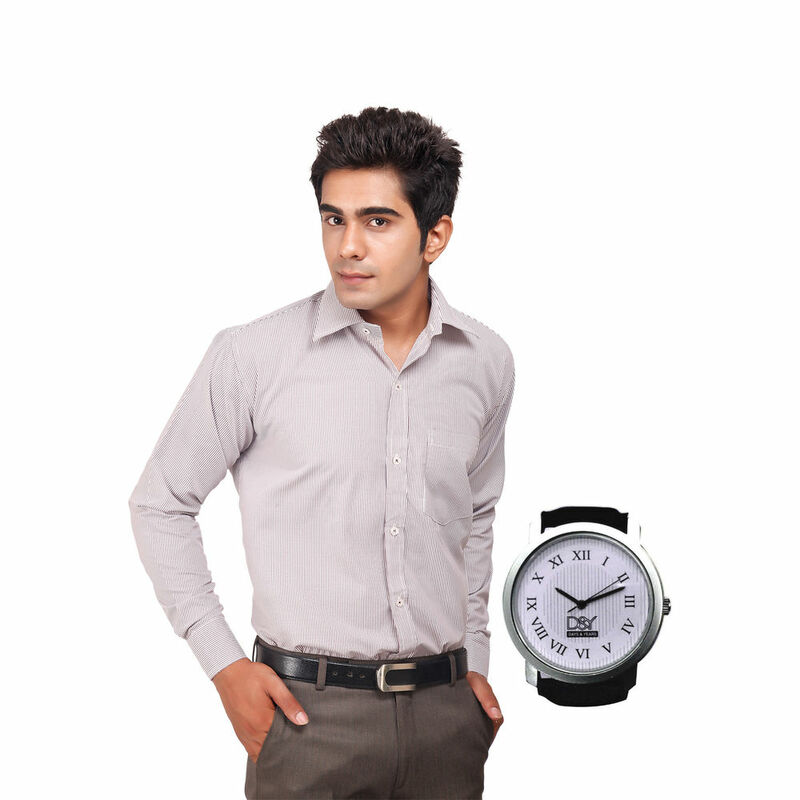 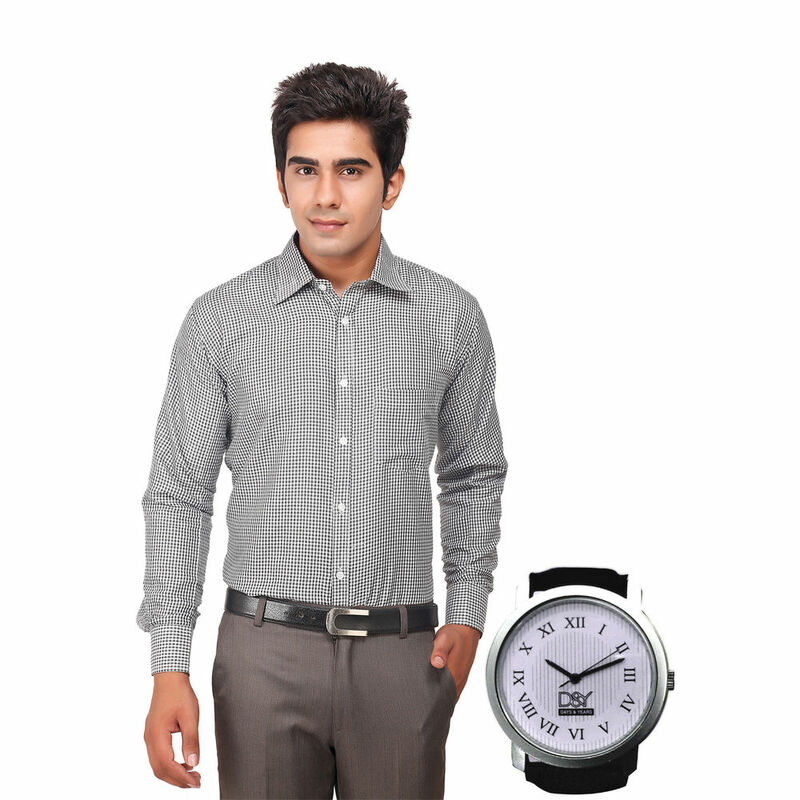 Wear your attitude with this formal shirt and D&Y analog watch that will add a tinch of sophistication to your office dressing. 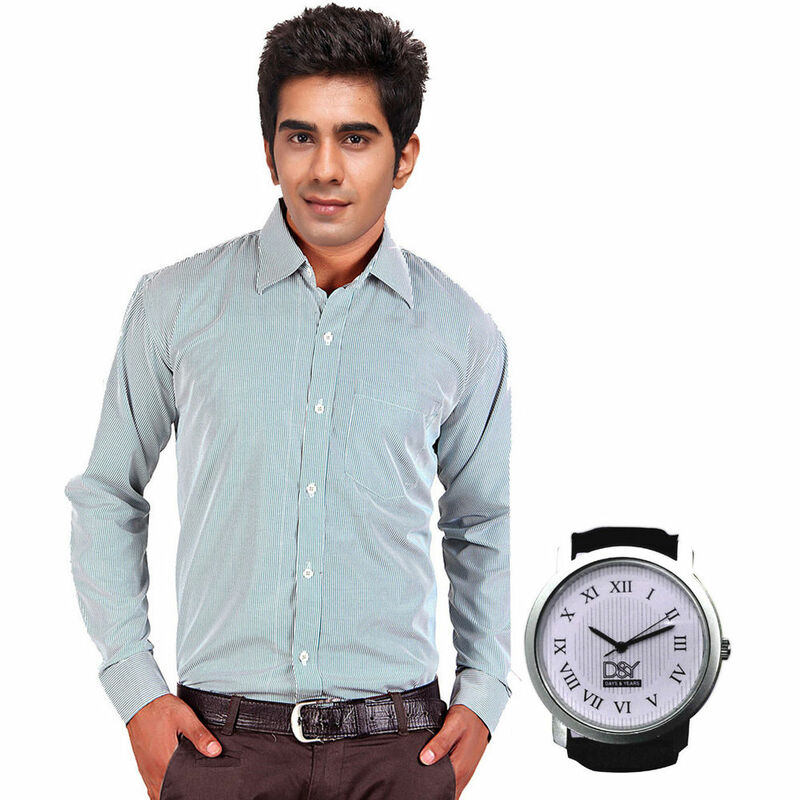 Crafted in comfortable fabric in regular fit this shirt will make you feel at ease all day long. 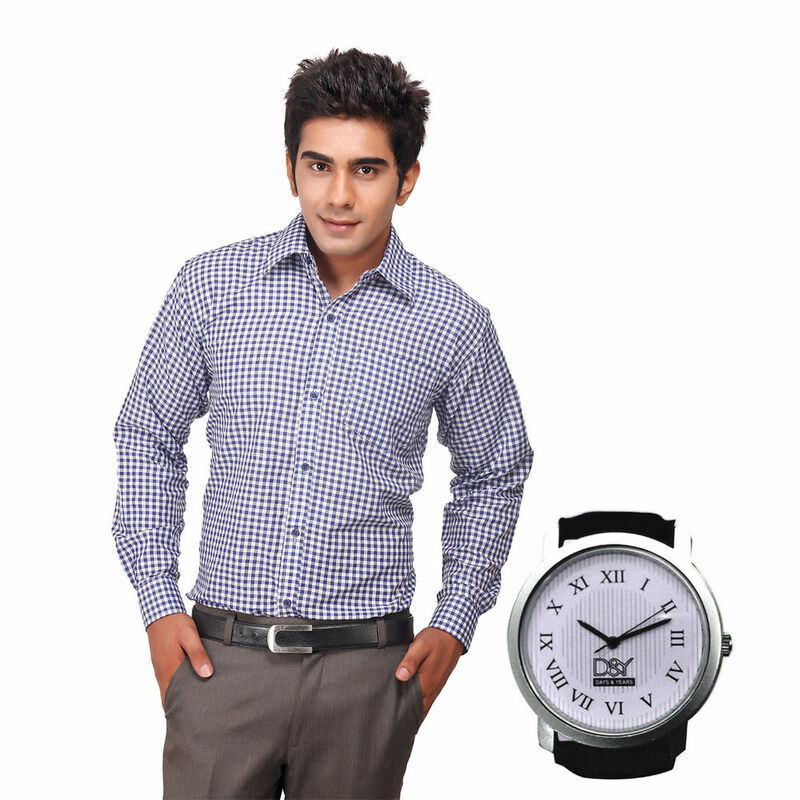 Watch was really very good shirt also upto the mark as per my expectation.